Well, here we are at the end of my whirlwind adventures exploring London. My mother and I included Paris in our itinerary. Since my mother suffers from motion sickness, we were weary of taking the 4-hour bullet train ride. Read on to find out how our voyage went! We jumped into an Uber and battled London morning rush hour to get to our train station. Of course, we misread the instructions and ended up venturing into King’s Cross station first. We were supposed to go to St. Pancras to catch our Eurostar train to Paris. Luckily, we had arrived rather early to allot time for exploring and taking photos, and we realized soon after we arrived that St. Pancras was just across the street. Phew! 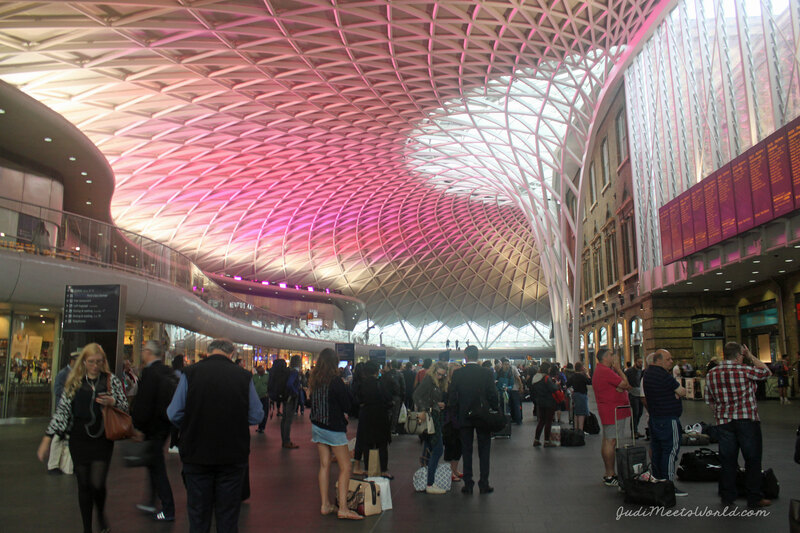 King’s Cross’s interior took me by surprise. 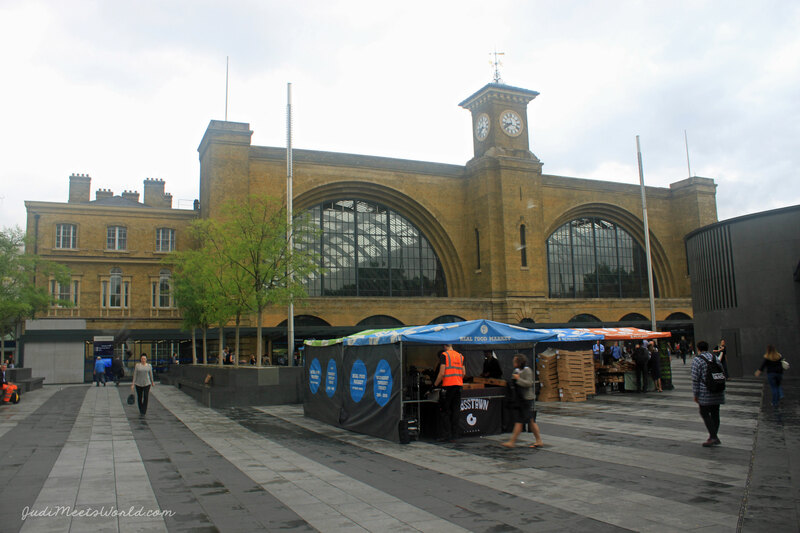 The outside of the building had a square that was beginning to get set up for a marketplace of food stalls. The architecture of the exterior did not prepare me for how modern the building and beautiful the main lobby area was. I was expecting an aesthetic similar to the very classic Union Station of NYC. This was definitely not the case here, with the lighting casting an ombre of colours on the ceiling as passengers were looking for their platforms. I also remembered one unique feature of this station that I absolutely needed to find: Platform 9 3/4! Harry Potter fans will know this as the station where you can take your own photo running to catch the Hogwarts Express! 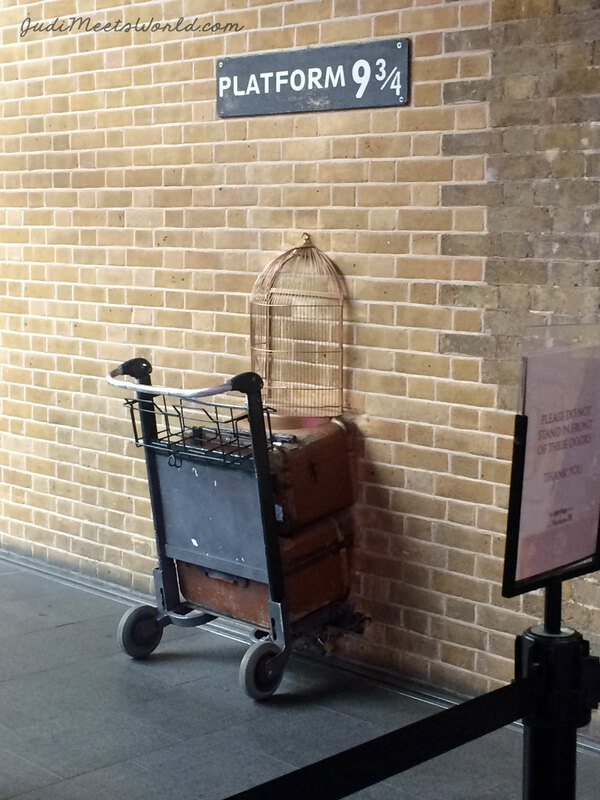 There is a prop cart (complete with owl cage and suitcases) halfway into a wall marked Platform 9 3/4. 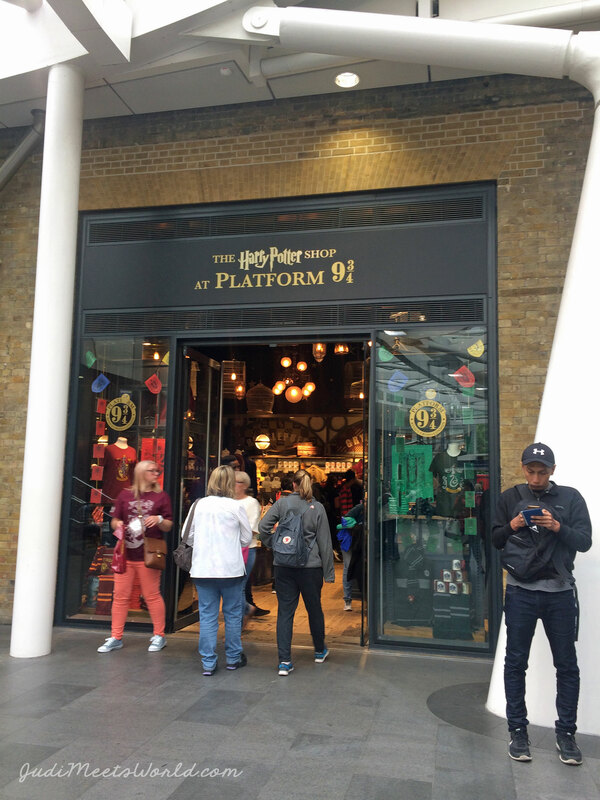 They also have a store dedicated to the beloved JK Rowling HP empire right beside the photo opportunity. You get to choose a scarf corresponding to your HP house of choice. There is a professional photographer and assistant who will throw your scarf up as you jump, resulting in an adorable action shot of you mid-run into the platform! This was my first time ever to be on a bullet train. In terms of trains that cross borders, you’ll remember that prior to this I had taken the Amtrak Cascades down the Pacific North West to get to Seattle from Vancouver. This experience wasn’t different, except for the speed, and the fact that it goes under the English Channel to reach its destination. The Eurostar does daily trips between London and Paris for as low as USD $64.00 for a Standard one-way ticket. For those with families, there is also a direct train that goes to Disneyland Paris, with a very cute boarding announcement done by Mickey Mouse himself! We opted for the Standard option for the relatively short train ride (about 2 hours) directly from London to Paris. The seats had a socket to charge your electronics, and there was free wifi on board. I used this time to respond to emails and make some updates creating, yet again, an on-board makeshift office. For our seats, we had the Standard class so we simply sat beside each other. We had the benefit of being close by to our luggage rack and also to the bathroom between cars. The ride was smooth and comfortable. My mother had taken gravol to help with her motion sickness and she pretty much slept for most of the journey while I worked. This concludes my post re: the Eurostar. Any other bullet trains that I should try around the world? Let me know! Happy travels, everyone.